This holiday season give the gift that gives back to charitable causes Peace Frogs which was originally the name chosen for a line of multi-colored international flag shorts. The frog is internationally recognized as an icon of peace and good luck and was thus deemed as an appropriate logo. The frog eventually proved so popular that the focus was shifted from the flags to the frog. 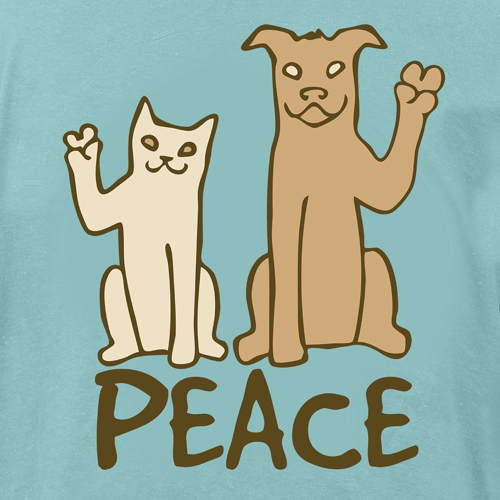 As time went on, Peace Frogs expanded into t-shirts, sweatshirts, boxers, hats, and a variety of accessories. The frog's combination of positive energy, whimsical attitude, and peaceful outlook has proven universal and enduring. Over twenty-five years since its conception, Peace Frogs is still growing and now found nationally in major department stores and theme parks, as well as our own Peace Frogs stores and kiosks, mail order catalogs, and websites. I was sent Adult Teardrop Frog Short Sleeved Shirt in Heather Cardinal which is bright red and made with 100% cotton, unisex, a teardrop design of a frog, daisies, peace sign and more. Adult Wild Tree Short Sleeve in the color Pine with the “tree of life” on it which you can see all the way to the roots it is also unisex and made with 100% cotton. 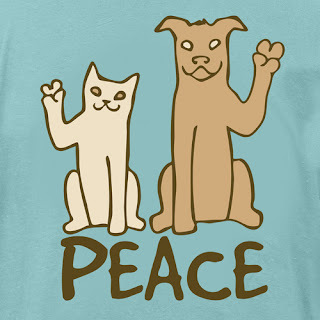 My Opinion: These are both great shirts for anyone who may have been born in the 1960’s and all about peace, love, and happiness. The designs are very colorful yet simple. I really like the shirts I got and they will make a great gift for someone on my list.